At the American Library Association’s (ALA) 2012 Annual Conference in Anaheim, Calif., the American Association of School Librarians (AASL) announced the 2012 Top 25 Websites for Teaching and Learning. In its fourth year, the list of websites honors the top 25 Internet sites for enhancing learning and curriculum development for school librarians and their teacher collaborators. The list is considered the “best of the best” by AASL. We are proud that SpiderScribe was included this year in the list. Small Business Special Report in the Wall Street Journal from May 21st features SpiderScribe as one the useful online tools for working together [ check the online edition ]. We are glad to announce that SpiderScribe.net won silver in Education and Training Websites category at the 10th Aniversary Competition by Horizon Interactive Awards. Now you can add new child stencils using TAB or INSERT (when you have a parent stencil selected). When you are editing overlapping stencils, SpiderScribe will now remember their last depth-orders (the latest added stencils were always on top before). To change a stencil’s z-order simply click on it – it will bring it to the top. If you are in a view only mode, it will still bring selected stencils to the front, but will not save their new depth position. We just added the possibility to edit the image title and even hide it entirely. The image title serves also as a download link for the original image, so when it is hidden, you can still access the original image through the stencil menu (top right). 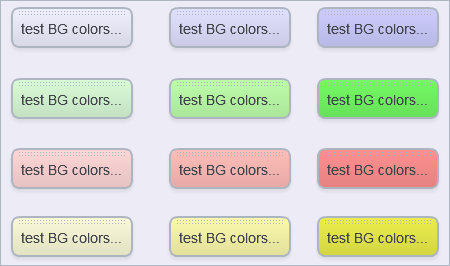 We just extended the number of available background colors for our stencils! SpiderScribe is now available on Google Chrome Web Store – you can check it here. 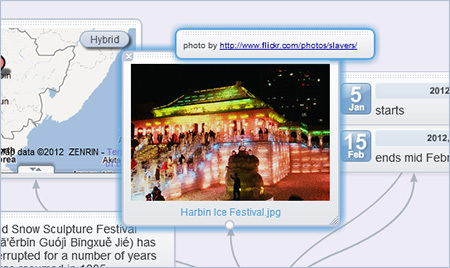 Check this colorful SpiderScribe map with visual references on over thirty exotic festivals around the world. We just added the 256-bit encryption protection to SpiderScribe – you will be able to notice now the “https://” in your login page address. SLL was added to all the plans, including the free ones. You can check SpiderScribe mind mapping and brainstorming tool at www.SpiderScribe.net. SpiderScribe Jr. for iPad is out!